Entertainment Tonight's tweet - "The BEST moments from BTS' first-ever GRAMMY Awards! 💜 #GRAMMYs @BTS_twt #TearItUpBTS "
이 친구들은 밝은 기운을 주는것 같아 좋다. 좀 수줍은 표정도 살짝 보이는것 같아 귀엽고. 저 남준인가 하는 친구는 영어가 정말 자연스럽네. 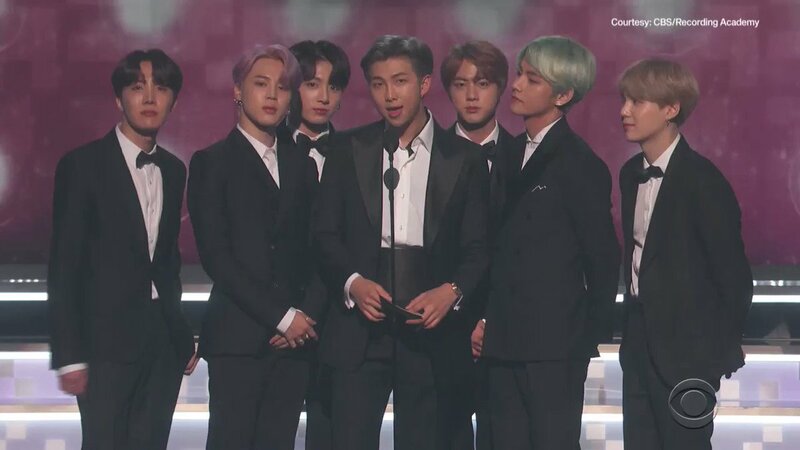 @BTS_twt #TearItUpBTS My boys slayed just from their presence and visuals... Like.... What do you do? Proud is an understatement. Thank you for all the coverage. I hope more people will find BTS music, as it's amazing!